Winter has well and truly arrived and as your family looks for ways to stay warm and cosy, it’s important to be vigilant about keeping your home fire safe. This includes discussing fire prevention with children. Every child should be educated about fire safety, starting at home. If children see their parents taking fire safety seriously, they are more likely to do the same. It is vital that families conduct a fire safety audit of the home. This includes ensuring that smoke alarms are installed in the correct location, batteries have been replaced with new ones (if it’s an existing alarm) and checking that fire safety equipment such as fire extinguishers or fire blankets are accessible and in good working order. Smoke alarms, fire extinguishers and fire blankets are all essential tools for defending a home against a fire. Families are also encouraged to develop a fire escape plan and practice it regularly with the entire family. This can be a great way to involve children in the fire safety discussion. A fire escape plan should start with a floor plan of the home that maps out the quickest escape route from each room and indicates where fire safety equipment is kept. Ensure children know what the smoke alarm sounds like and they what to do if they hear it. 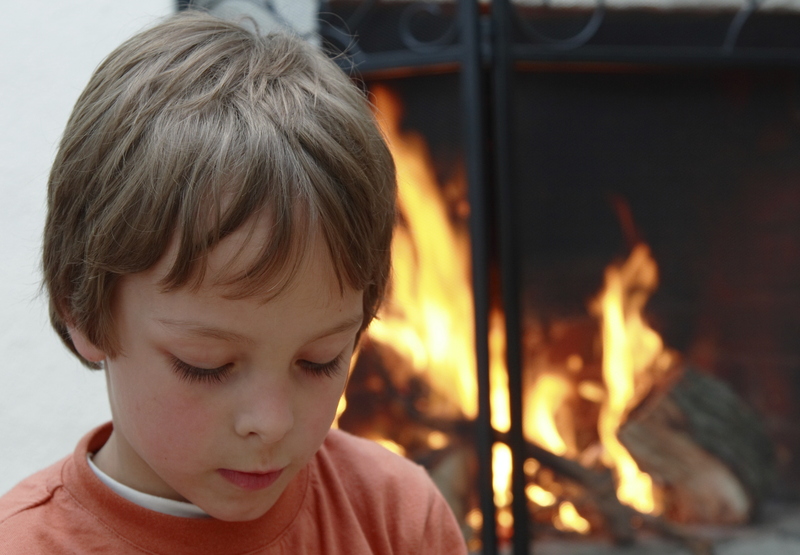 Ensure children are kept at a safe distance from heaters, candles, and oil burners. Supervise children in the kitchen and keep them away from the stovetop and oven. Ensure heaters are always kept on a flat stable surface on the floor and away from curtains or other flammable items such as clothes and toys. Be aware that some children may have a natural curiosity about fire and be tempted to be involved in ‘fire play’. Closely monitor any suspicious behaviour. For complete fire safety protection this winter, fire safety kits are available from Wormald. Each kit includes a 1kg ABE fire extinguisher, photoelectric smoke alarm and fire blanket. If you or someone you know has been affected by fire, you may want to consider contacting the Fire Foundation. Wormald supports the work of the Fire Foundation, a not-for-profit organisation which helps fire and burns victims throughout Australia to rebuild their lives. The dark winter days can also increase the risk of a break-in at home. The latest blog post from ADT Security offers seven tips for home security during winter. This entry was posted in Home fire safety and tagged children safety, educating children about fire safety, fire protection, fire safety, winter fire safety by wormaldblog. Bookmark the permalink.